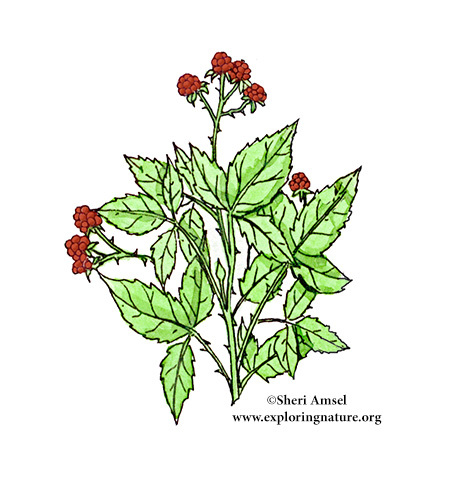 Found in thickets, the edges of fields, open woodlands and disturbed areas. This is a prickly shrub that can reach 6 feet tall. The leaves have a serrated edge and 3 leaflets. They have drooping white flowers that turn to red clusters of berries in summer.